The faculties of the Department of Oral Medicine and Radiology are highly skilled in transforming a student into a highly efficient Oral Physician and Oral Radiologist. They form the backbone of the department and each faculty has a lot of awards and achievements to their credit. Dr.G.Maragathavalli did her UG & PG at Madras Dental College. After her graduation she was working in Rajamuthiah Dental college in Chidambaram for 3 years. She joined this esteemed institution Saveetha Dental College in the year 1988. She has ten publications to her credit. She has guided M.D.S. students in Saveetha Dental College and has been as an external examiner for UG & PG courses. She was called as a UG examiner to Mauritius. She has evaluated DNB papers. 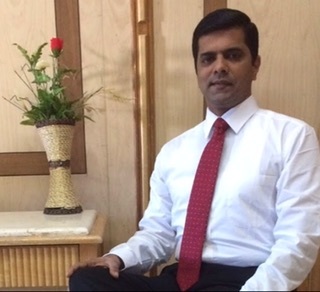 Dr. Arvind graduated in dentistry in 1997 and completed his Masters in Oral Medicine and Radiology in 2003. He subsequently gained the Diplomate in Oral Medicine from the European Association of Oral Medicine in 2012, MFDS from Glasgow in 2013, FDSRCS in oral medicine from the Royal College of Surgeons of Ireland in 2014 and the Fellowship in Oral medicine from The American Academy of Oral Medicine in 2017. He was selected to represent India in the World Workshop on oral medicine V as an assistant reviewer at London in 2010 and again as a reviewer in the World Workshop on oral medicine VI at Florida – USA in 2014. He was awarded the European Association of Oral Medicine travel bursary award in 2011 and underwent training in the oral medicine department of Eastman Dental Institute, London. He underwent further training in oral medicine at Penn Dental School, Philadelphia- USA and in Special Care Dentistry at Morriston Hospital, Swansea- United Kingdom. Till date he has delivered 46 guest lectures in India and abroad. He has 40 publications in peer reviewed journals and has also contributed chapters to text books in oral medicine and radiology. He is on the editorial review board of both national and international journals. He is an examiner for MDS – Oral Medicine and Radiology in all Indian universities and also serves an examiner in the Royal College of Physicians and Surgeons of Glasgow and Royal College of Surgeons of Ireland for MFDS exam. He is recognized PhD guide in Saveetha University and has guided 2 doctoral thesis and is currently supervising 5 doctoral thesis. His special area of interest is orofacial pain, medical management of immunobullous disorders and dental care for medically complex patients. Dr. M. Arvind is currently working as Professor and Academic Head of Oral Medicine and Radiology and Special Care Dentistry at Saveetha Dental College, Chennai. Dr.Mogit Gupta. Y, Reader, department of oral medicine and radiology, started his association with this college way back in 2001, completed his BDS, MDS and currently pursuing his PHD from the prestigious Saveetha University. He is known for his unique way of taking classes. He takes keen interest in innovations in teaching methodology, recent advances in diagnosis methodology . To his credit he has attended numerous National and International conferences, Presented numerous guest lectures,faculty papers and posters. He has chaired numerous conferences and had done many publications in national and international journals. Dr.D Sreedevi is working as Senior Lecturer in the Department of oral medicine and Radiology, Saveetha Dental college from April 2014 till date. She finished her basic dental degree from The Tamil Nadu Dr.M.G.R.Medical University Chennai and her Masters degree in Oral Medicine and Radiology from Saveetha University in the year 2013. She has numerous awards and achievements to her credit and has also guided many undergraduate research projects, motivated them in presenting papers and posters in national and international conferences, winning awards and constantly encouraging them in doing publications too. Dr. Nandhini.S, graduated in the year 2014 from Chettinad Dental College and Research Institute and did her post graduation in Oral Medicine and Radiology from Saveetha Dental College in the year 2018. She was awarded Best Oral Medicine master award in 2017 by Saveetha Institute of Medical and Technical Science. She is competent in providing Dental and Oral care for Medically Compromised patients. Her active areas of interests are management of oral mucosal lesions and orofacial pain. She has presented posters and papers in various National and International conferences. She also has many awards and publications to her credit. She is currently working as a senior lecturer in the Department of Oral medicine and Radiology, Saveetha Dental College. Dr.Vivek Narayan finished his graduation in the year 2009 from The Tamil Nadu Dr.M.G.R.Medical University and his post graduation in Oral Medicine and Radiology from Saveetha University in the year 2012. ‘Motivation is the key factor in teaching’ is what he believes in. He has presented numerous papers and posters in various conferences. He has also received awards for teaching from the preeminent university, Saveetha Institute of Medical and Technical Sciences. He also has publications in various national and international journals. He is currently working as a senior lecturer in the Oral Medicine and Radiology department.